If you’re in the market to buy a new home, odds are you’re excited and also nervous. This is apt to be particularly true if this is your first foray into the housing market. It helps to divvy up the process in your mind. There’s the shopping for the actual abode process. There’s the application process and there’s the mortgage down payment process. Throughout these various processes there are important tips to keep in mind. Do your due diligence. Convention dictates 20% down for a mortgage. And, while that amount may do nice things for your ongoing payments, lesser amounts are available. Do the math and figure out what you can reasonably afford. Look into both adjustable rate and fixed rate mortgages to decide which type better fits your situation. And remember there are loan options through veterans groups, state assistance programs and the federal government. While you are doing your due diligence you should be saving. In fact, saving needs to start early. Leverage windfalls, likes bonuses and tax returns. Try not to max out, or even use your credit during this process as it will impact your mortgage. As you inch closer to ownership, it’s a good idea to get a pre-approval letter from a lender that has thoroughly reviewed your financial situation. When magic time arrives and you’re ready to buy the nest of your dreams, get a qualified real estate agent. Be specific. Know the neighborhood and home you want. Stay on target for your budget. Use open houses. Calculate ahead for closing costs and adequate homeowners insurance. And know what your home inspection does and does not cover. 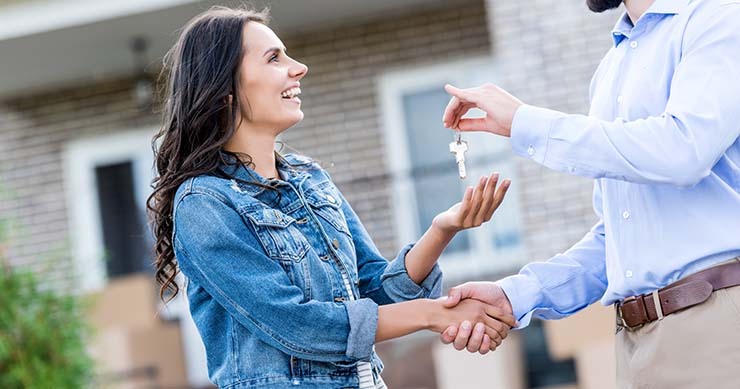 As a buyer of a home for the first time, one must be careful and smart when making a decision. Getting a loan, or a mortgage, is not a very simple process as some people might think. The people who can buy a home at a young age always say that it was the best investment of their lives.